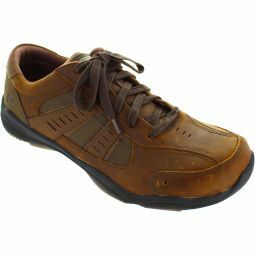 Smooth leather and synthetic upper in a lace up casual comfort trainer oxford with stitching accents. Classic Fit design for traditional comfort. Air Cooled Memory Foam cushioned comfort insole.